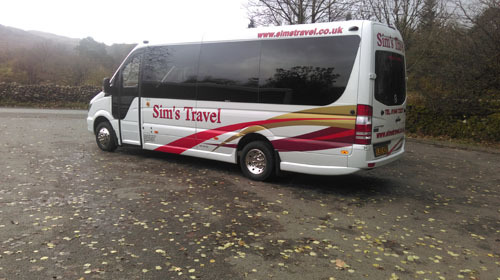 Founded by William Sim over 100 years Sim's Travel are based in the English Lake District on the West Coast of Cumbria. We operate out of the Eskdale Valley in the shadow of Scafell Pike and neighbouring the Ravenglass and Eskdale miniature railway. 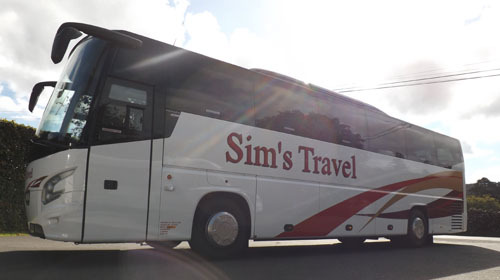 We have a modern fleet of coaches ranging in size from 8 – 70 seats, all featuring reclining seats and double glazing, which have onboard facilities including toilet, DVD, and air conditioning. Constant investment in the coach fleet, supported by regular staff training helps us to maintain our high standard of service and we strive to meet the demands of our clients. Our office staff are on hand to offer any assistance necessary to make sure your booking goes as smoothly as possible. Our vehicles are available for private or contract hire throughout the UK and Europe to meet every occasion and event. 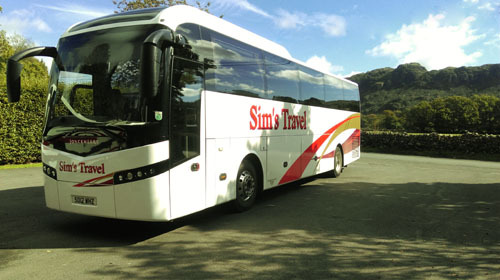 We operate a year round coach holiday and day excursion programme with both short and longer holidays throughout the UK and Europe, as well as a variety of days out to theatre, flower and agricultural shows, shopping trips and the ever-popular scenic mystery tours. We have local pickups throughout West Cumbria. Our corporate clients include some of the UK's leading industrial companies and we work for a number of UK and overseas holiday companies.